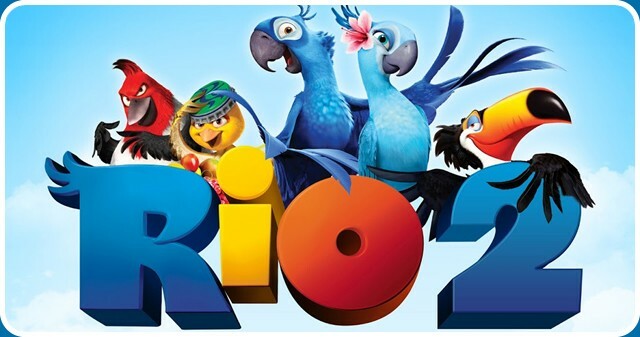 RIO 2 is a 2014 animated musical adventure-comedy film and is the sequel to the 2011 film [RIO]. 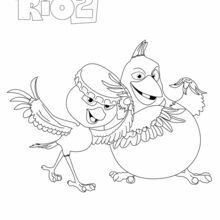 This time Blu and Jewel have 3 kids and are enjoying their life in the beautiful city of Rio de Janeiro when they are lunged into the Amazon Forest. 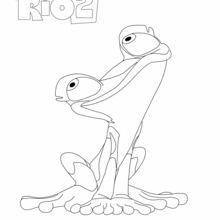 This funny movie takes you on a musical adventure in the Amazon where Jewel and Blu think is the location that will help their human friends find them. 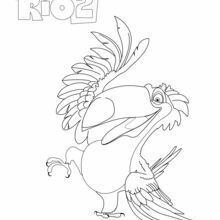 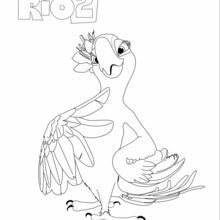 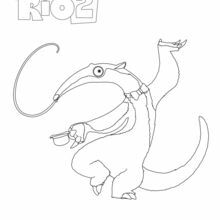 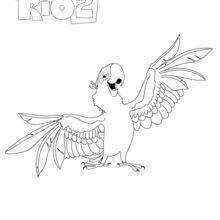 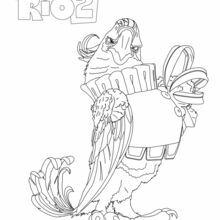 Bring these RIO 2 animation characters to life by coloring on line or printing to color at home with your most beautiful tropical colors.